Oops, I did it again. 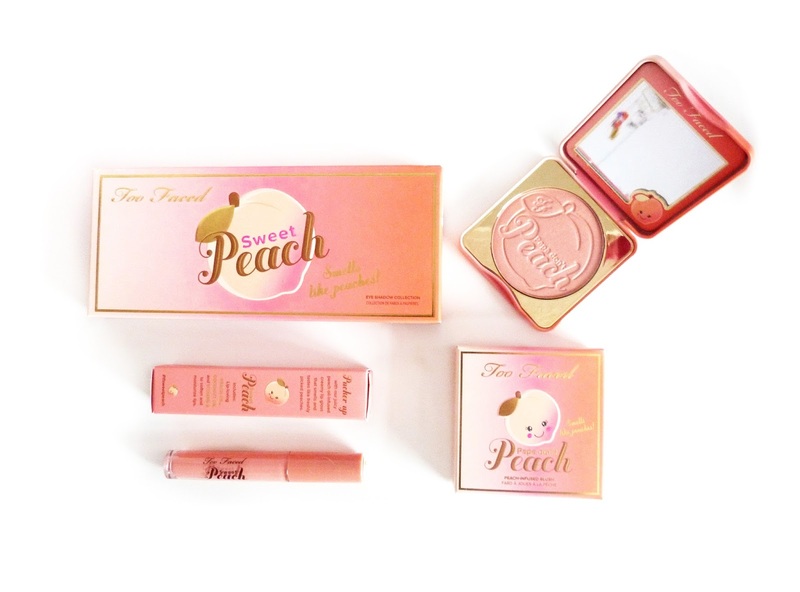 I once again slipped and clicked 'checkout' on £100 worth of fabulous Too Faced goodies, this time from the fabulous new Sweet Peach collection which was released on December 14th. The goodies I treated myself to included the iconic Sweet Peach palette, Papa Don't Peach blush and a Peach Oil lip gloss. The product I'm most excited to play with is the gorgeous Papa Don't Peach blush, infused with essence of peaches. It's the most amazing bronze-peach shade, which is out of my comfort zone as I usually wear light pink blushers, but I feel it will be a lovely change to spice up my makeup and add a pop of colour. 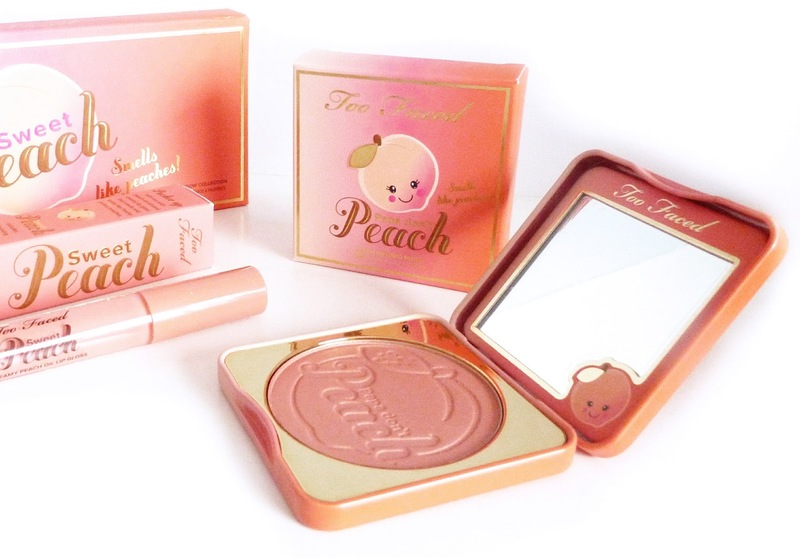 Unfortunately, the Papa Don't Peach blush is actually now sold out online, so I'm really sorry to anyone who reads this post and wants to buy it. I'm sure they'll re-stock soon! 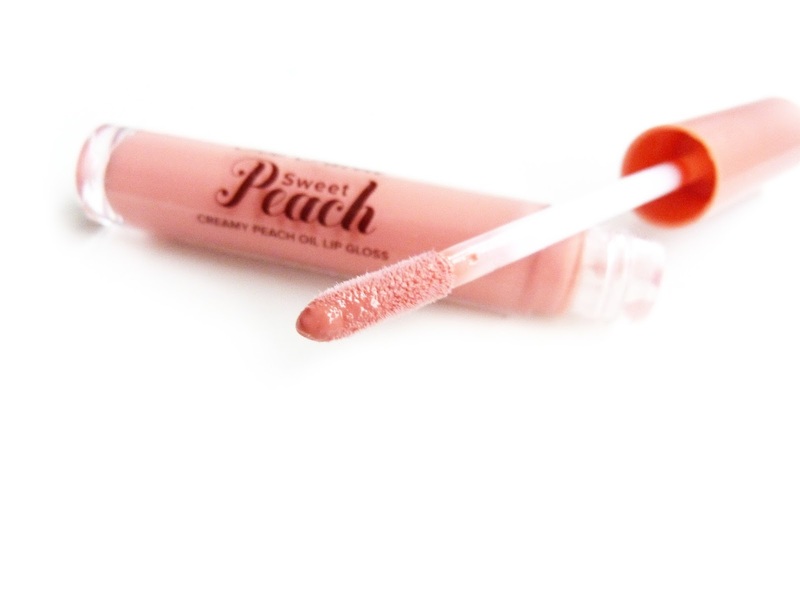 For my Sweet Peach Creamy Peach Oil lip gloss (jeez, what a mouthful!) I chose the shade 'Peachsicle' as I thought the fair skin lip-swatch on the website was absolutely gorgeous. The shade is described as a creamy peach and I think it will suit me really well, so keep an eye out for a review coming shortly. I can already tell I'd love to pick up some more of these lip glosses, and I have my eye on 'Pure Peach', 'Peach Tease' and 'Tickle-Me-Peach' as soon as I'm out of my makeup spending ban in February. Last but certainly not least, I finally got my hands on the 'pallete that broke the internet' the Sweet Peach eyeshadow collection. I am so thrilled to finally have this fabulous palette and I know I'm going to have a lot of fun using it. My favourite shades just from looking at the pans are 'Bellini' (obviously, I'm a bellini cocktail girl myself) 'Luscious' and 'Nectar'. I haven't actually photographed the open palette yet, as I don't think I can do it's beauty justice without a full post dedicated solely to it, which is coming soon... promise! What do you think to my Sweet Peach collection haul? I wish I could do the sweet peach haul but unfortunately (not complaining) I already got the sweet peach palette since they release for the first time but I'm thinking on buying their sweet peach highlighter and their papa don't peach. Also I'm looking forward for your review of their lip oil since I want to know if it feel like a lip gloss or not. These look so adorable! I've never tried anything from TooFaced before, I definitely should :-) great haul!